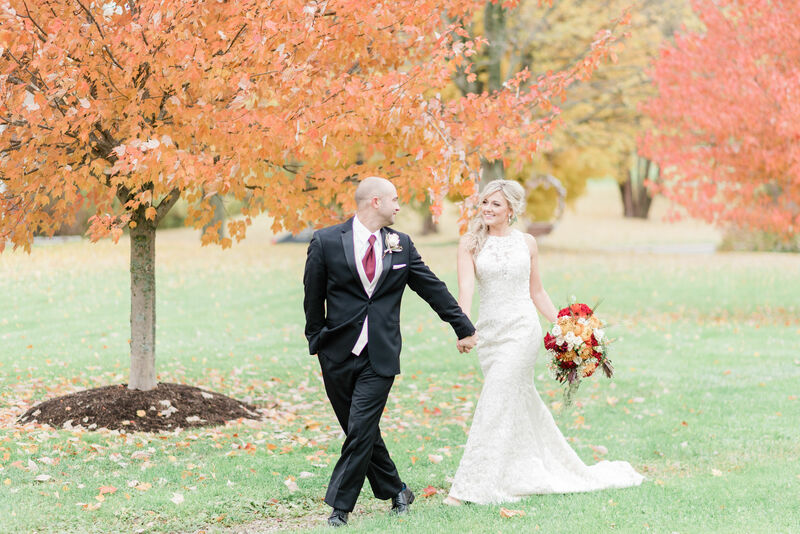 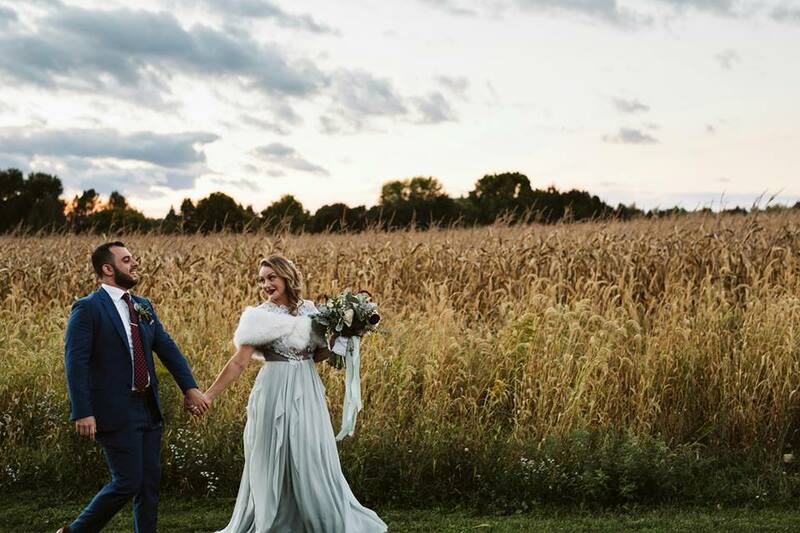 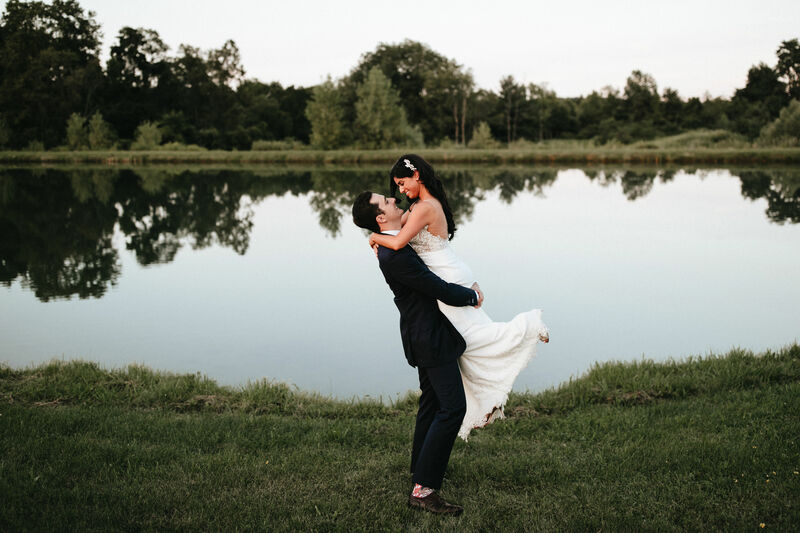 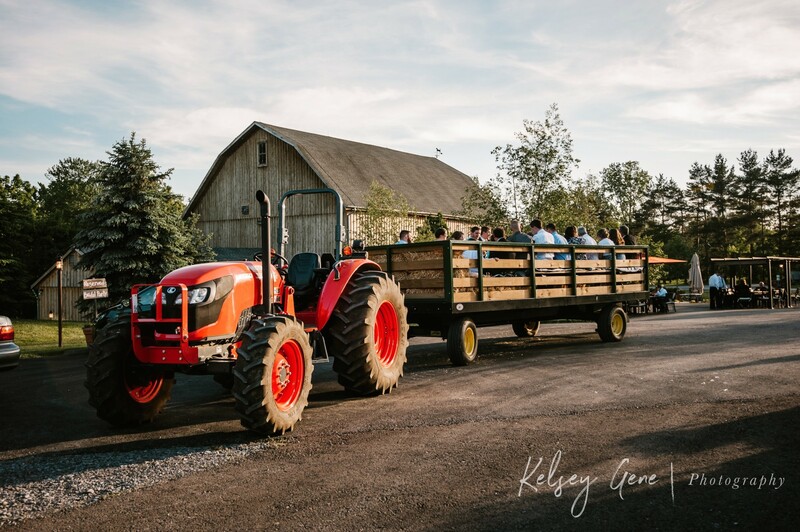 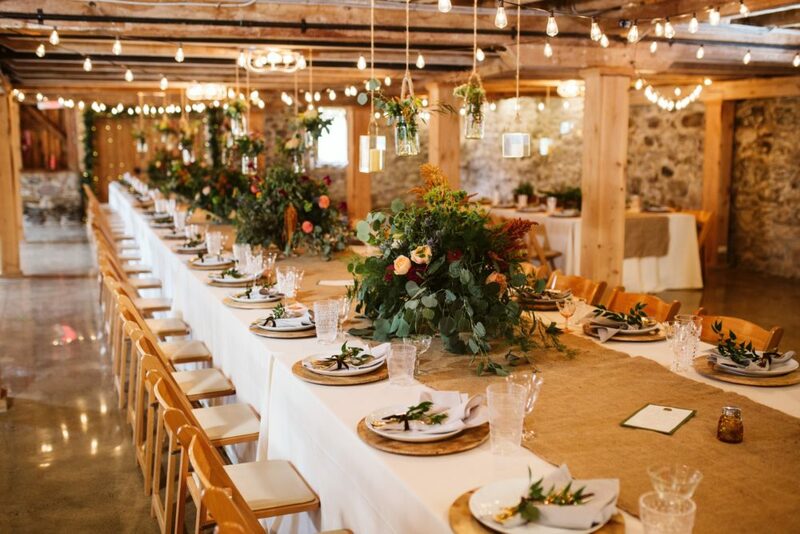 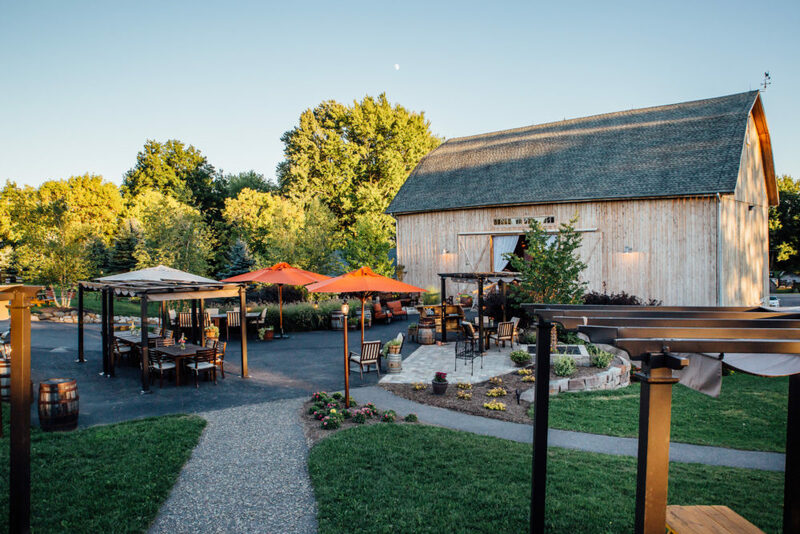 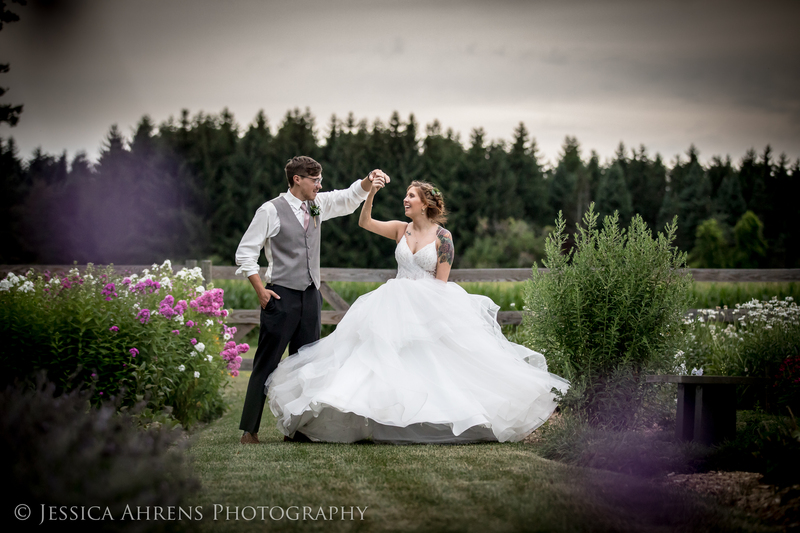 HayLoft in the Grove is an elegant and rustic barn venue in historic East Aurora, NY. 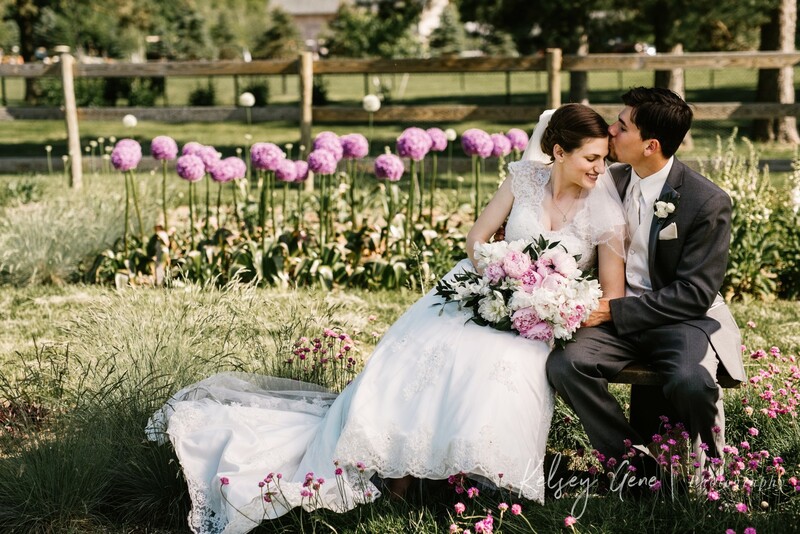 Whether your event is in Spring, Summer, or Fall, our team is always hard at work making sure that the gardens and grounds look fabulous for your big day. 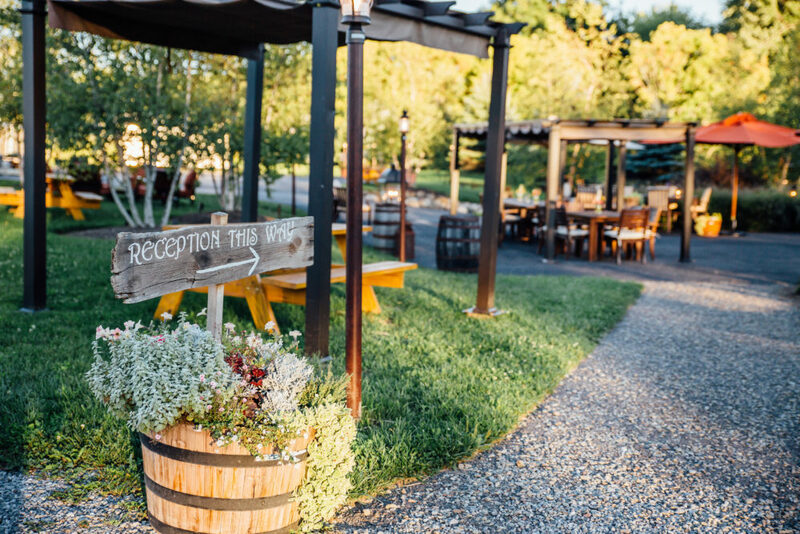 We have a large patio space outside the barn with plenty of seating, reserved parking for the bride, groom & wedding party, and much, much more. 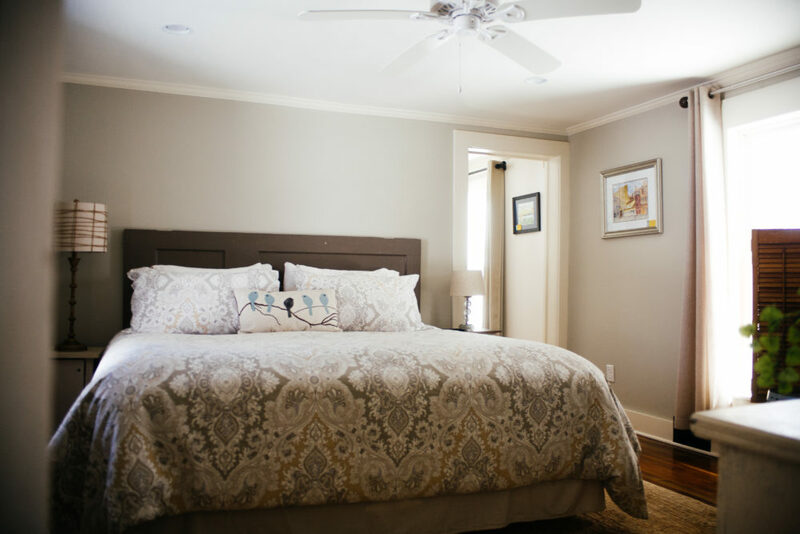 Contact us today to schedule a tour! 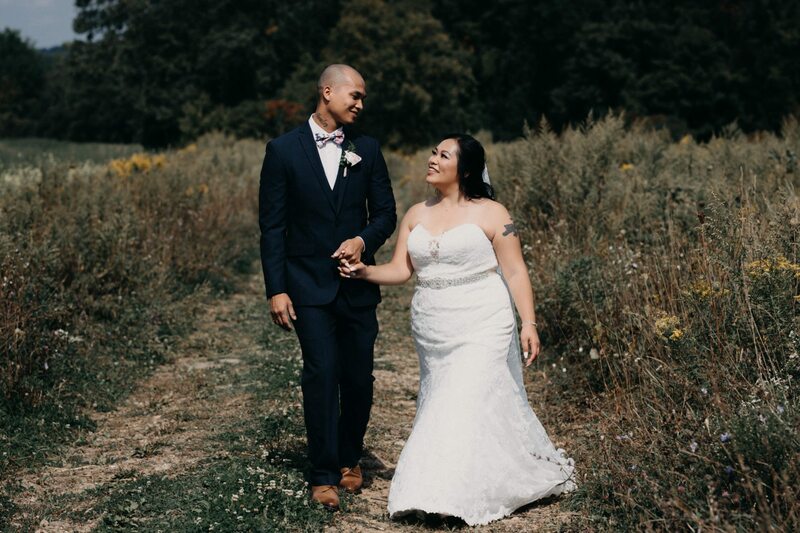 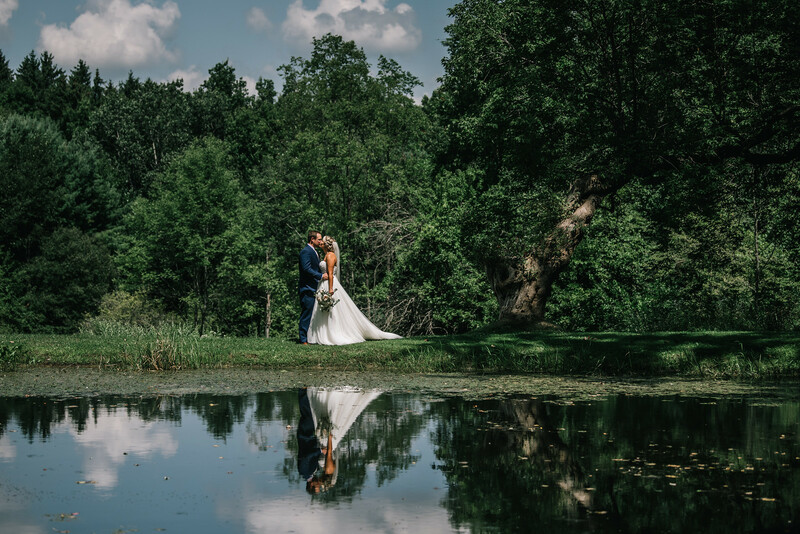 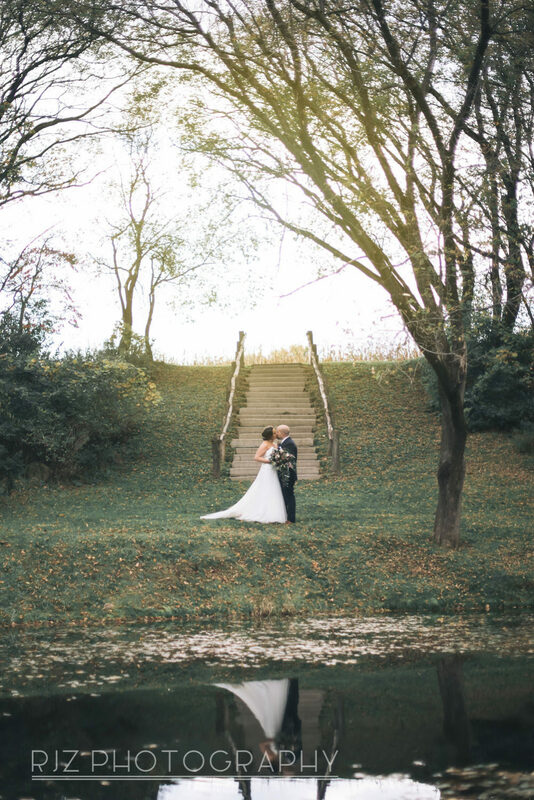 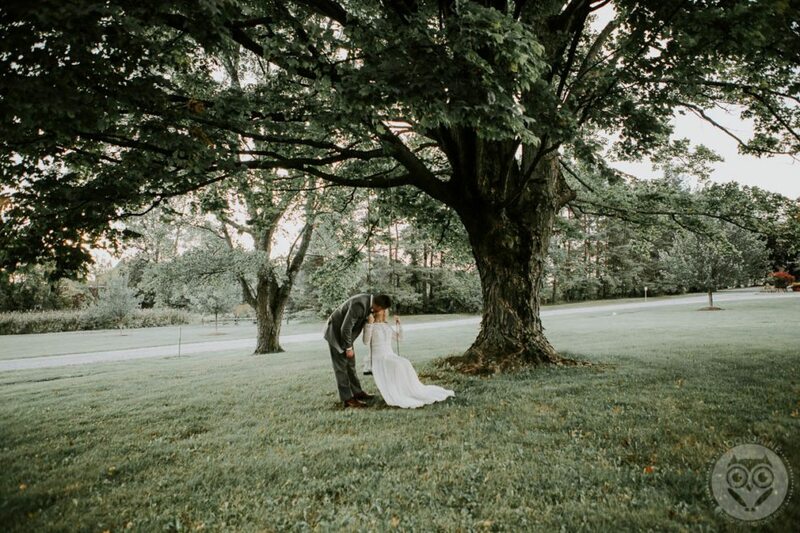 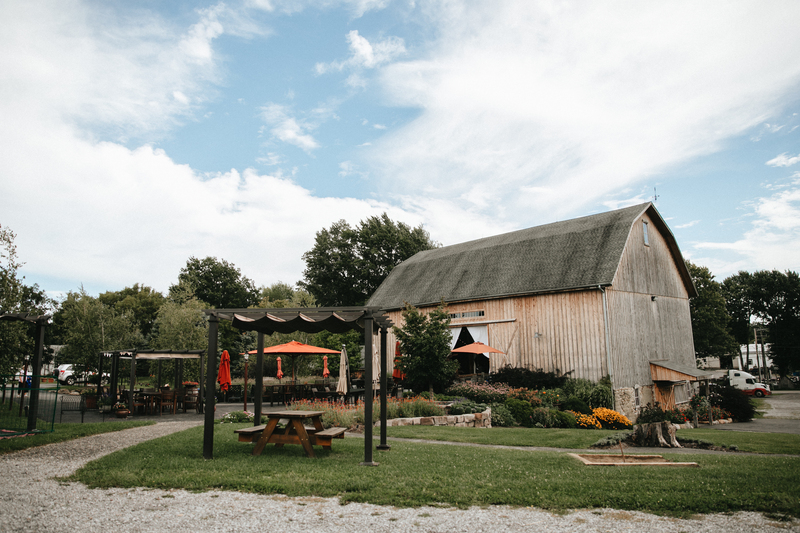 Come explore the HayLoft's beautiful grounds and discover the perfect spot for your engagement pictures, senior portraits or a photo shoot. 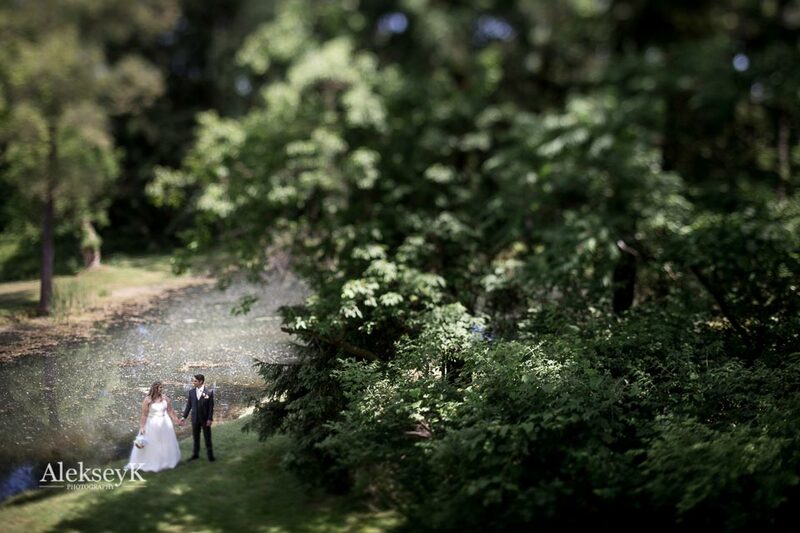 Our extensive grounds will be give your photos that special touch. 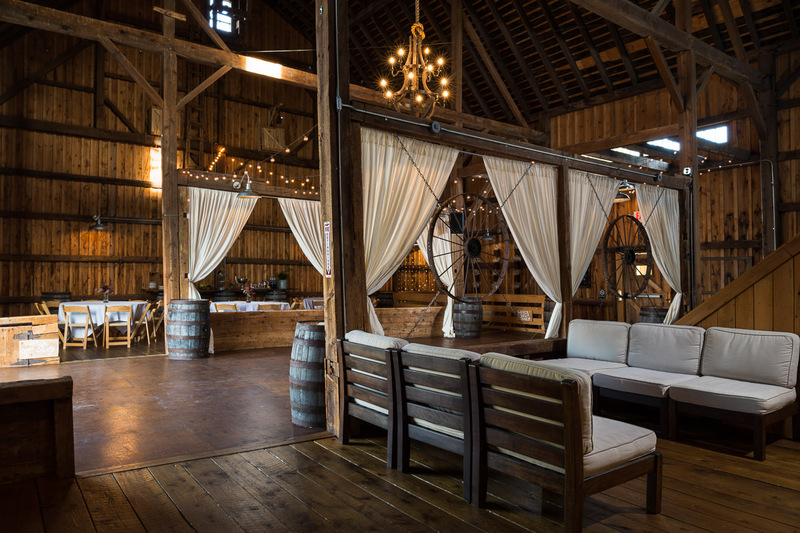 Check out our historical barn built in the mid 1800's originally used as a dairy barn. 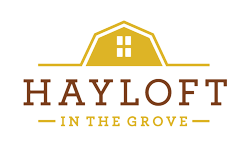 Although some additions, including the milk house and silos no longer stand, the HayLoft itself still contains an operating "original" hay hook for the loading and unloading of loose hay. 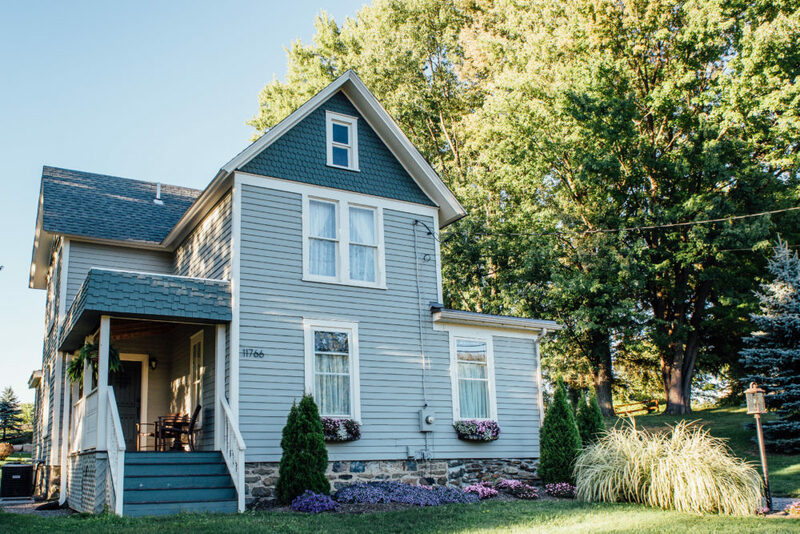 The original foundation still exists and is built of stones and boulders gathered from the property. 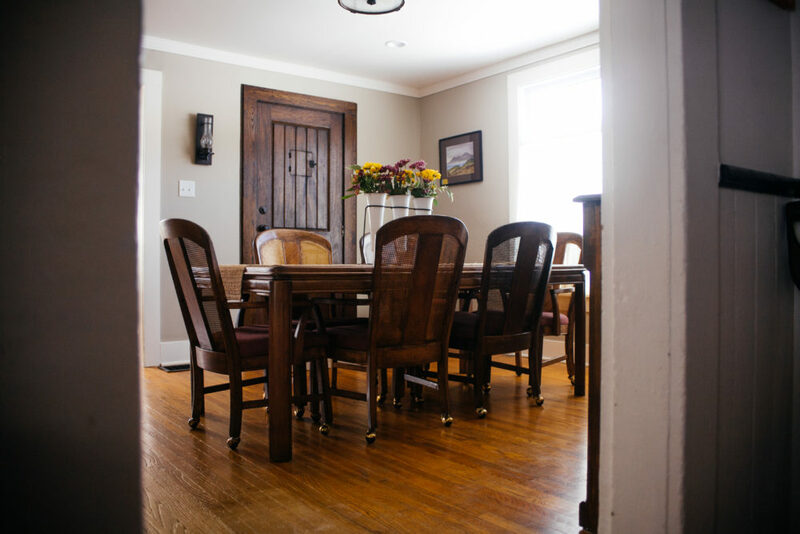 The frame of the building is held together by the original handmade wooden pegs and mortise and tenon joints. 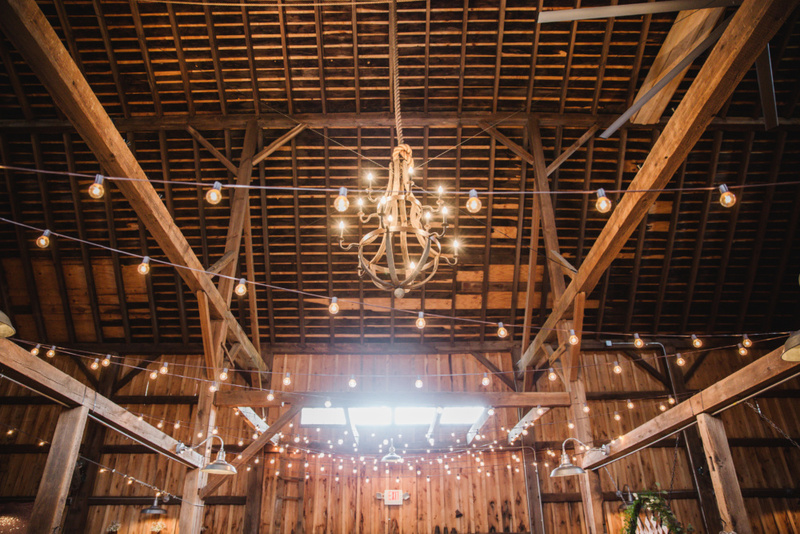 The rustic elegance of this barn speaks for itself. 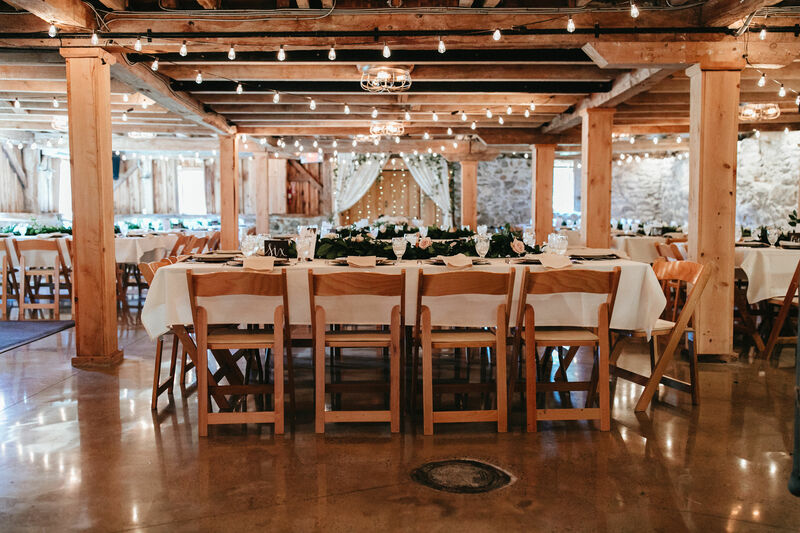 Our unique indoor ceremony and small event space with decades-old wooden walls (you can even see where the horses chewed through the wood! 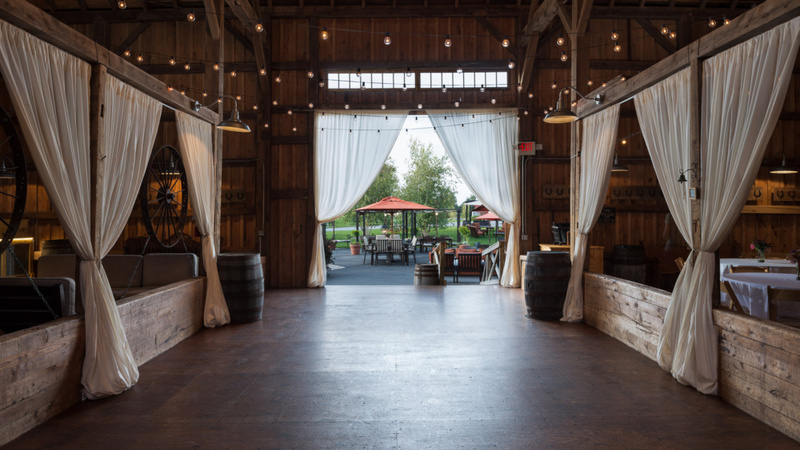 ), eclectic crystal chandeliers, newly installed horse stables - one for refreshments and the other for the bridal party to chill before the ceremony begins. 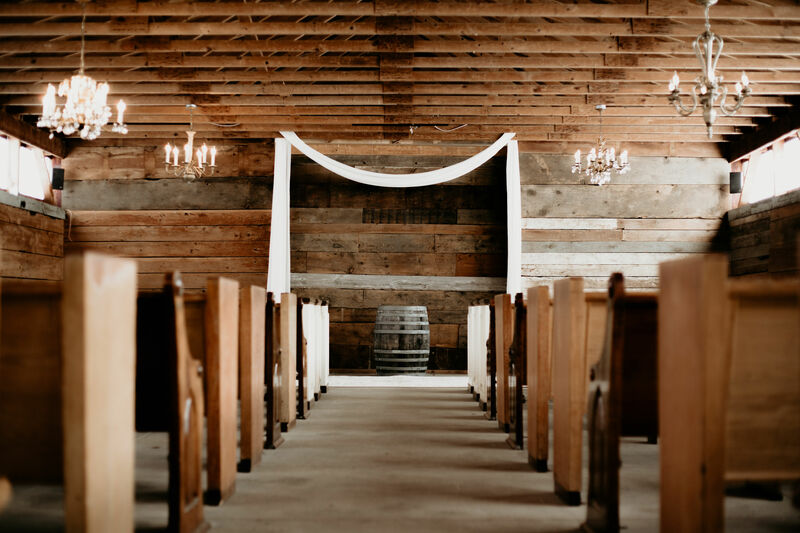 Our collection of pews will accommodate approximately 185 guests. 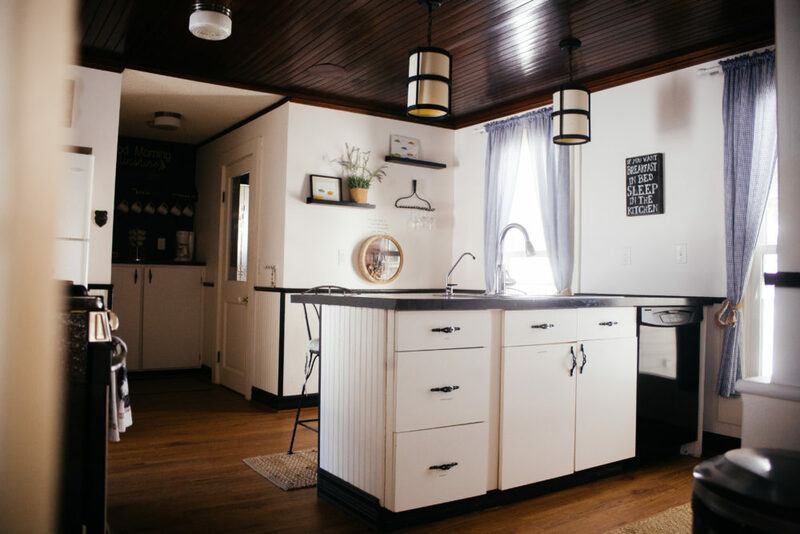 Our beautifully restored HayLoft Cottage is available to rent for your event or your visit to Western New York. It is nestled close to the barn with an easily accessible pathway. 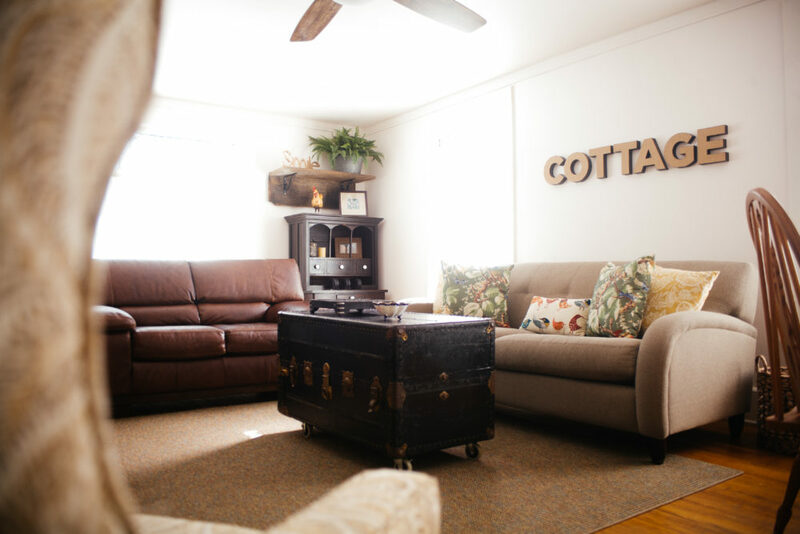 Reserve our Cottage for your bridal party, family, or out of town guests today! 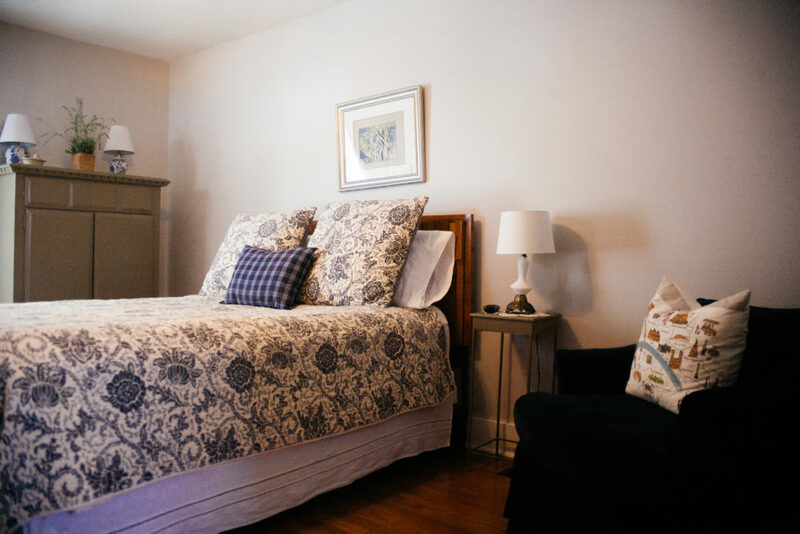 $375* per night - minimum 2 night stay is required. 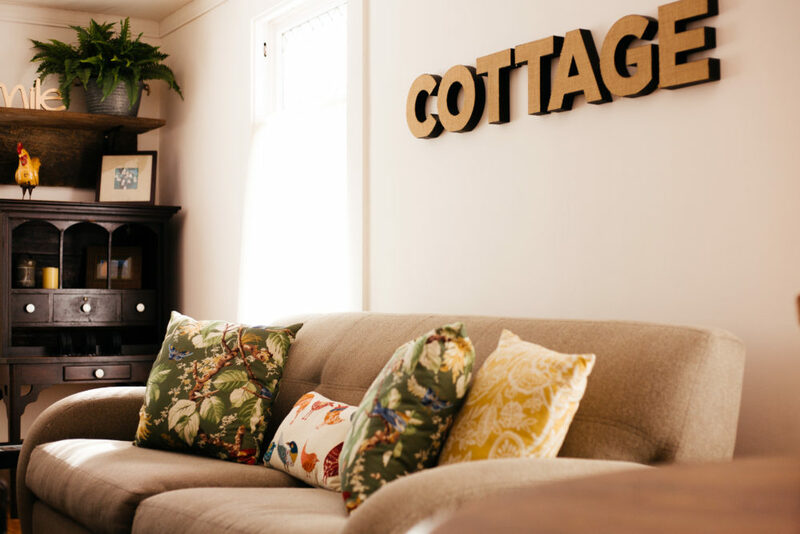 Our cozy Cottage has been fully renovated with the latest amenities...but don’t worry we have kept all the charm! 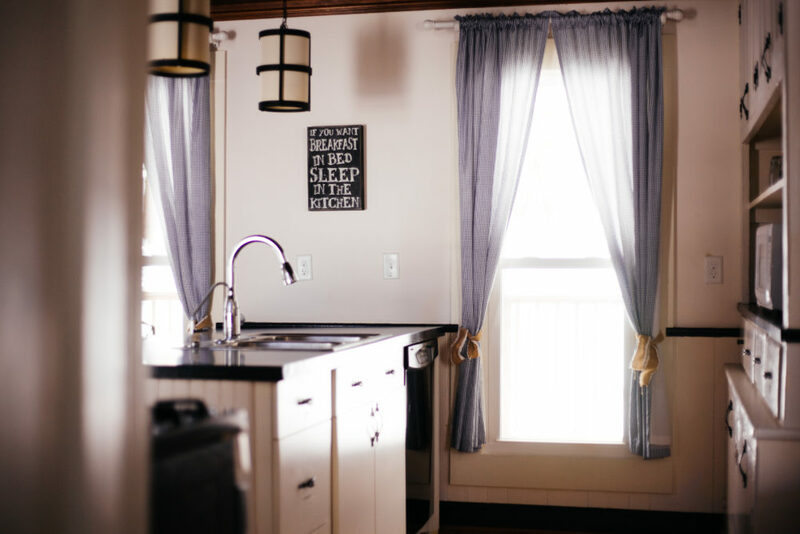 *Sleeps 8-10, fully equipped kitchen, 2 ½ baths, central air & heat, dining room, free wi-fi and cable, flat screen televisions in bedrooms and the living room, laundry room, front and back porches w/furniture, fresh linens and towels are provided. 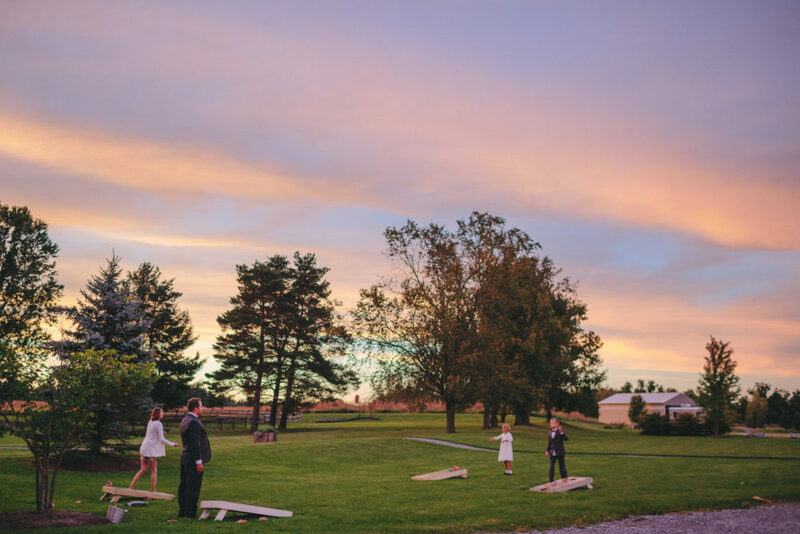 In just under 100 acres you will find cornfields, forests, three ponds, and extensive gardens. 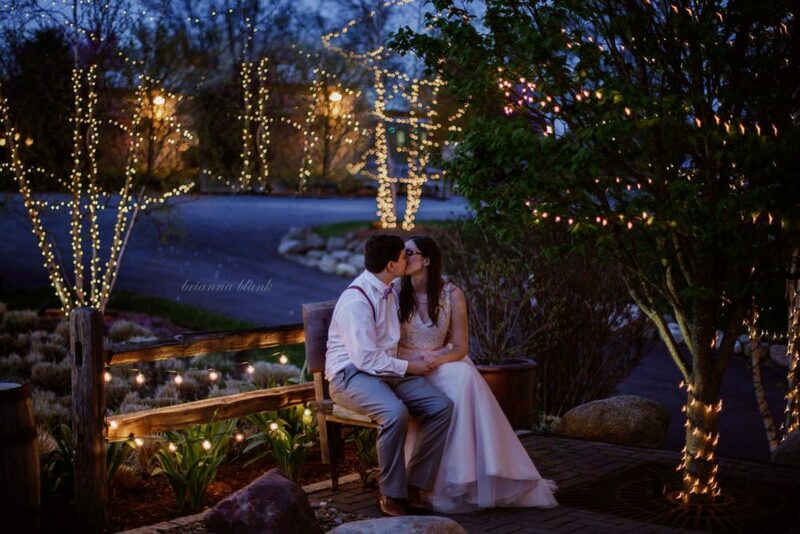 We open all of our grounds to you and your bridal party for photos, there are endless photo opportunities! 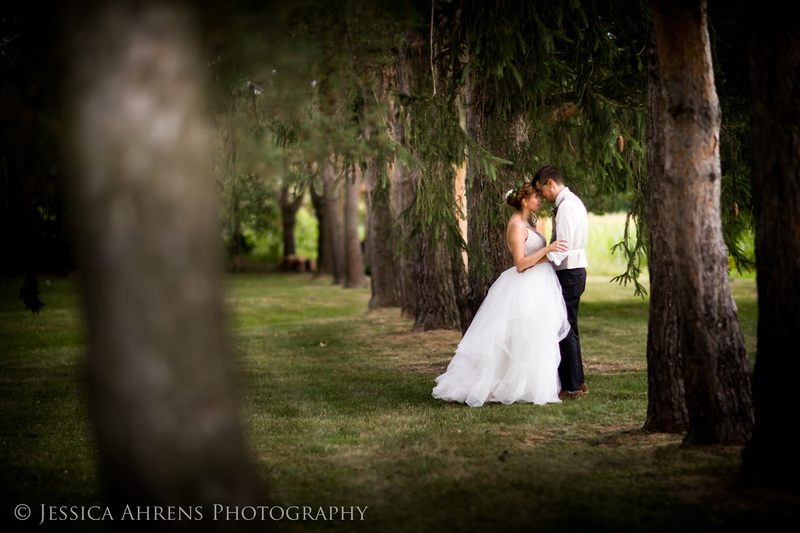 Come and discover the perfect spot just for your photos. 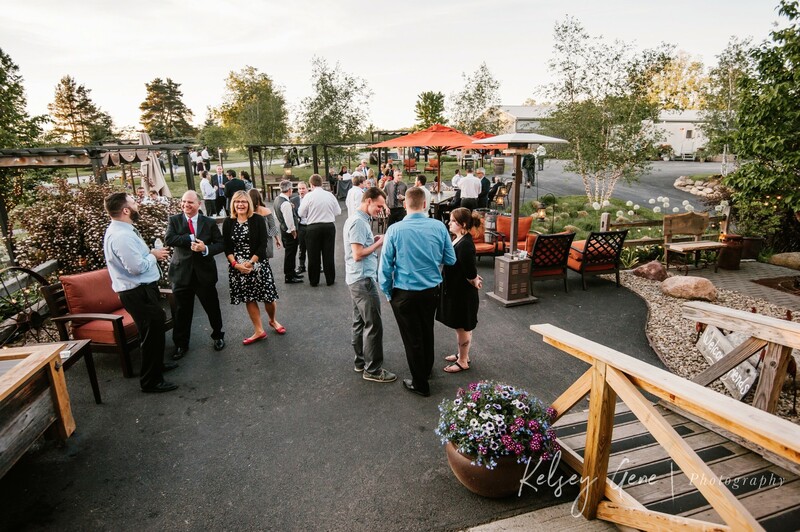 Compliment your wedding, corporate event, bridal shower, or any other event with our landscaped custom designed patio. 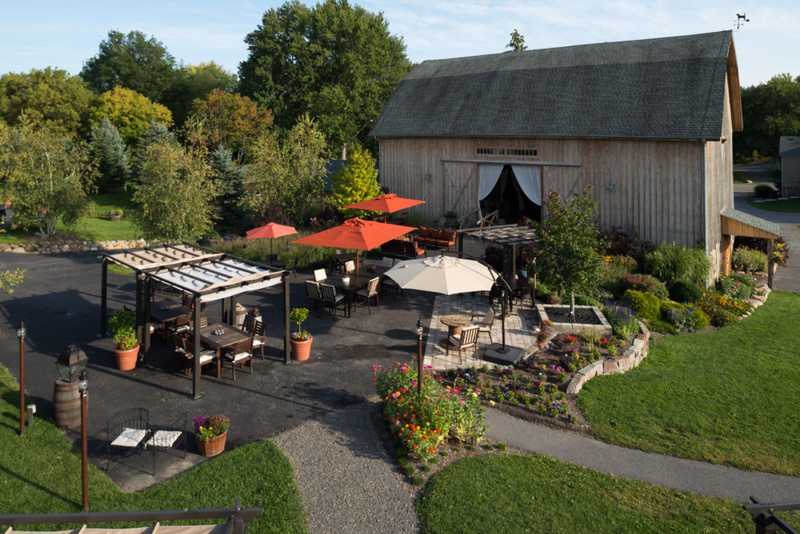 You're going to love all of the pergolas, large umbrellas, comfy seating, paved walkways and more! 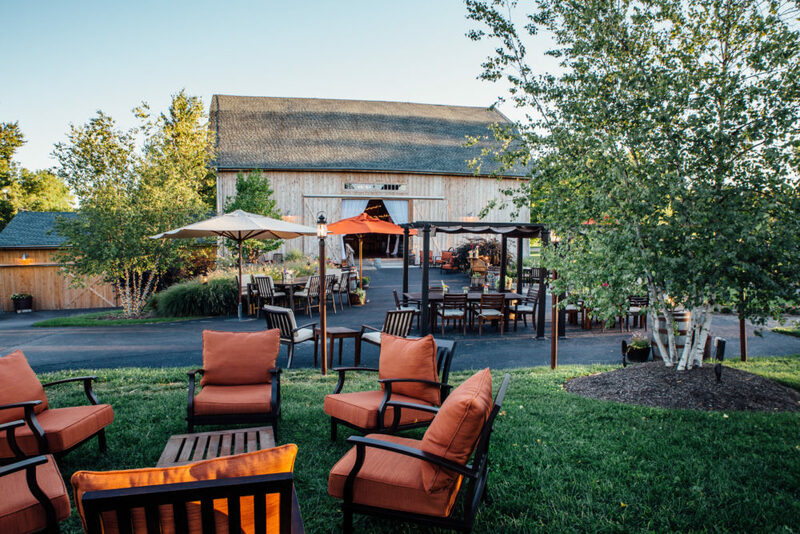 There is no better spot for cocktail hour or after dinner drinks.